Spacious updated home with bright 12 x 7 entry foyer new hardwood flooring to be installed. Separate formal dining room for holiday entertaining. 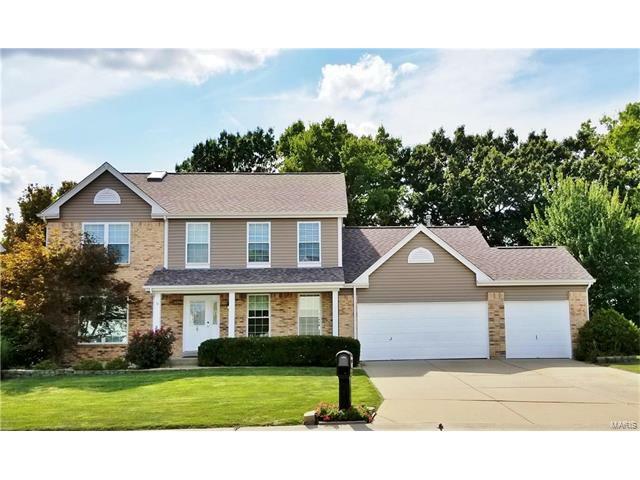 20x19 great room with gas fire place open to updated 20x13 kitchen with neutral tile back splash, granite counter tops, stainless appliances & walks out to large aggregate patio. As a special bonus yard backs to open ground giving you extra privacy. You will appreciate the main floor laundry & easy access to the 3 car garage. Divided bedroom fl plan with master bed & bath on the main level features double bowl sink, jet tub, separate shower & walk in closet. 3 additional beds on 2nd fl. PLUS 23x19 Loft family/rec room area. Room for expansion w plumbing already ruffed in place for bath when your ready to finish the lower level. Many updates have been done! New roof 2012, New thermal windows & siding completed 2016. New carpet, vinyl flooring, kitchen updates including new dishwasher completed & the interior was freshly painted all in 2017.